So i finally got my chicken to ride on. As said, it involved a few days/sessions of questing, gathering and crafting, which is ok, i guess, since i gained a few levels in everything. I’ve made it a policy that when i need, say, 10 items of something, i’ll go and collect 1 stack (99) +10 of it. This way, i’m levelling up continuously. Today i got my Botanist up to level 20, which is now quite close to the level of my highest adventuring class. And here’s what i have got as reward. 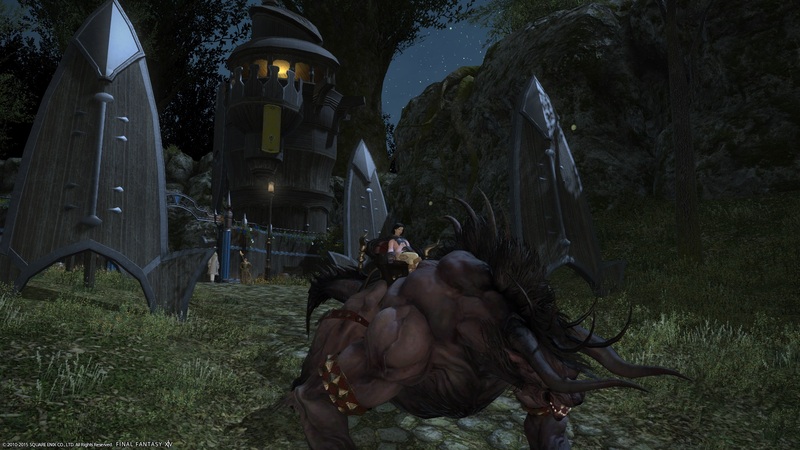 Well, at least i’m lucky enough to already have spent lots of money for FF14 despite being utterly low-level, so i also have the Behemoth to mount. Now that’s something totally different, isn’t it? Honestly, i don’t like either one of them. One is too cute, the other too badass, but i do like how comfortable my character looks on the Behemoth, so i guess i’ll go with that for now. 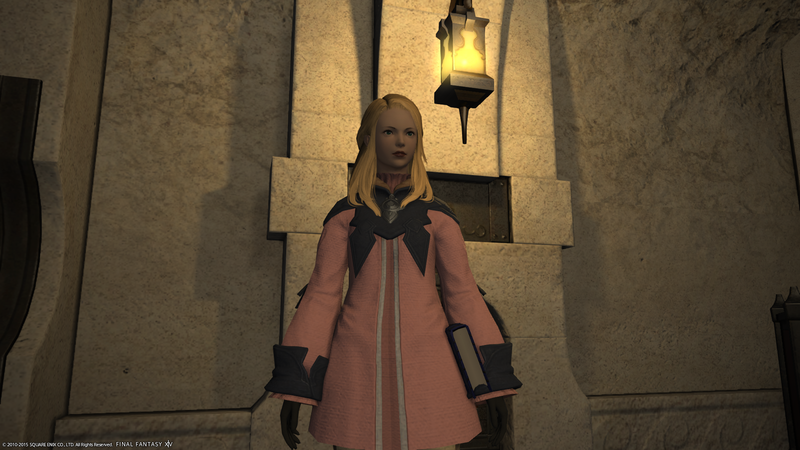 One thing FF14 does really right: your character just looks great in almost every position and occasion. I also finished the barber questline, which took simply travelling to the capitals and talking to some of the crafter guild leaders. Once you unlock the barber, you can summon him by using your bell in your inn room. This way, you’ll be able to gain access to new hairstyles and -colors which have been added to the portfolio or made usable by all races. I did a quick do-over and when i was ready, Deidra looked like this. See, there was something i totally forgot: there are the hunting logs, as well. Hunting logs, to simplify, are lists of different kind of mobs you’ll have to go and fight (it’s not the same as the hunting jobs where you hunt named mobs). They exist for every adventuring class and do give considerable XP. Also, as i mentioned, i hit level 20 with my Botanist, so there’ll be a new class quest waiting for me in Old Gridania. …and that’s just to continue to “play the game”, it isn’t actually doing something, it’s getting the stars lined up so i can continue to play the game. This game is crazy, but i like it. In fact, the longer i play, the more i like it and the more i want to be somewhat “finished”, as in max-level in one profession and finished with the storyline. I like to play the game somewhat “focussed”, but it just offers such a breadth of activities, already in this early game, that i get distracted and try to progress in many areas at once. There is so much endgame in sight for me it’s dazzling: crafting, gathering, playing the market, adventuring, getting other classes levelled, exploring dungeons and so on. I really feel “behind the curve” on this one- and it’s not only the level, but it’s also that i can’t seem to even grasp everything that’s in there- in that veign, it is quite similar to Everquest 2 (even more than it resembles WoW, i think). Previous Article Massively Overpowered will be a thing! It’s true, I almost hate all the mounts in this game and there aren’t nearly enough. I do like my chocobo though, maybe because he’s so small on lalafell hehe….and you can dress them in the most ludicrous outfits and hats! The halloween one or the BLM are fantastic. This game. Every time I start reading about it I end up renewing my subscription! 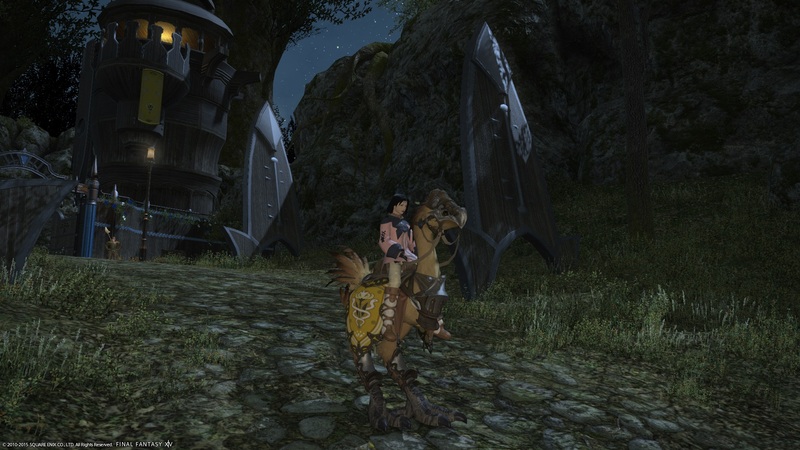 Personally I like the chocobos. They are different from standard fantasy MMO mounts and they are iconic FF. I never got much into using them for combat (mostly because I couldn’t find a vendor who sold the greens) but it was still my favorite mount. Also my only mount. I never did get into crafting much, but I do find the system interesting. I’d like to hear more of your thoughts on its implementation compared to other games. From my limited experience with gathering, I didn’t like having to change gear and weapon slots, I found that to be a nuisance. I want to gather while doing other things. I focused mostly on combat classes, I have a BLM at 38 and a MRD at 31 or 32. And then a handful of others in the teens and twenties. I’m indecisive. I had the same problem you’re describing of outleveling the main story line as well, which is how I ended up with a second higher level class. I tried to start over and stay level appropriate but still ended up surpassing it again. As you said, there’s so much to do it’s hard to stay focused. Honestly that’s one reason why I end up leaving games for a while. I play too broadly, never make it to higher level content, and burn myself out at the lower levels. I know the feeling- there’s so much i just really like – on paper- that i always want to return to it when i read something. When i’m playing, i think it comes down to having the feeling of progression. 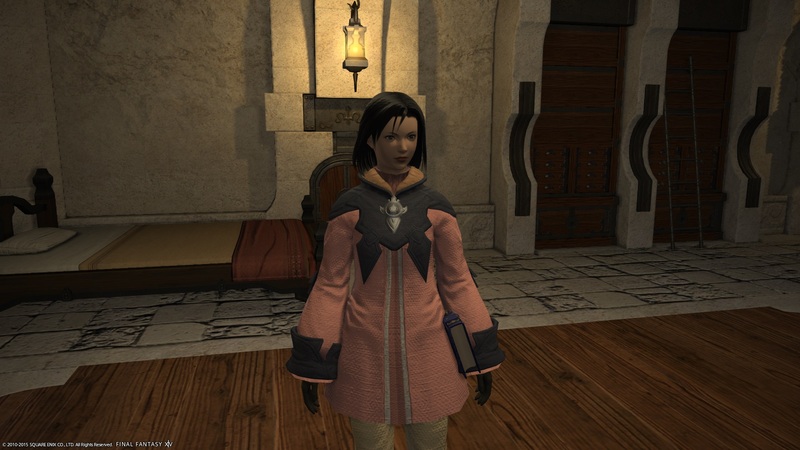 When i’m doing one quest after the other, or try to craft exclusively, or have to do the mandatory dungeons, the game doesn’t feel really special; it’s actually when i lose focus and broaden my experience that i find it more fun. Maybe the solution to this is: keep the focus, but do small bits- like the goals i outlined in my post or something. Just something that’s achievable in, say, 2-5 hours. And then on to the next goal. And thanks for your suggestion- since posting something daily, i have the feeling that gaming and blogging feed each other, so something like a series of posts dedicated to crafting seems to be a good thing to do. I think EQ2 is a good comparison. WoW doesn’t have the same amount of content systems that span the whole game. I wouldn’t mind seeing Slayer and Language quests in more MMOs! Yes, those are great! As is the idea that certain parts of the game can only be accessed when you learned a certain language. Yeah, that’s my favorite part of EQ1/EQ2 questing. I also like that the game isn’t in your face about doing it, either. It feels more like a discovery that some quests only happen with certain languages. I’d also love for quests to have variable endings dependent on language/faction, but that might have to wait for a future MMO that makes questing important but the main source of progression again.